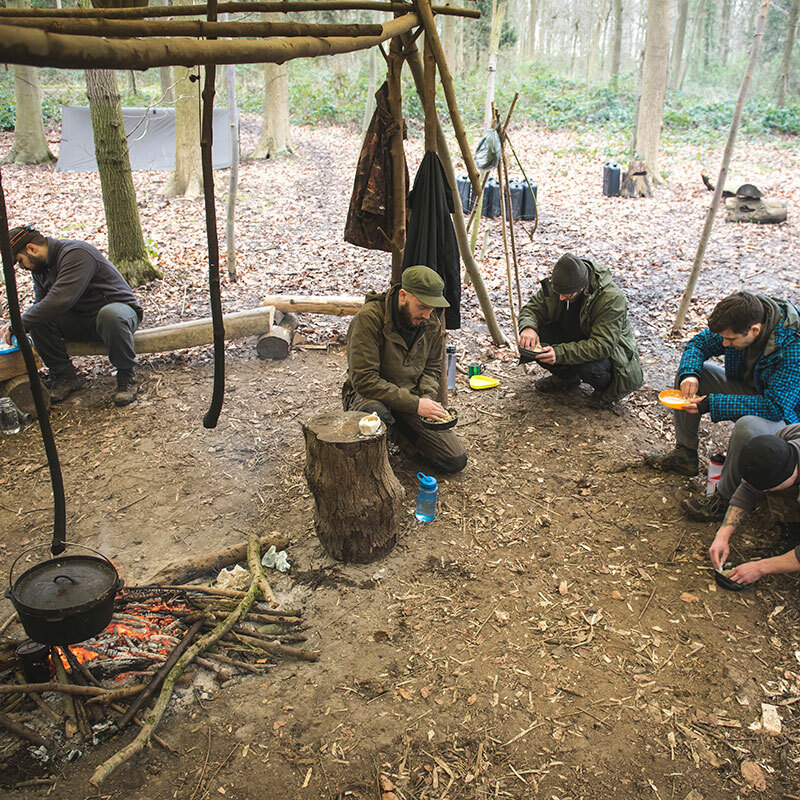 This is by far our most popular Bushcraft Course! This multi award-winning course is an ideal starting course for the beginner and for those who wish to try their hand at something different. 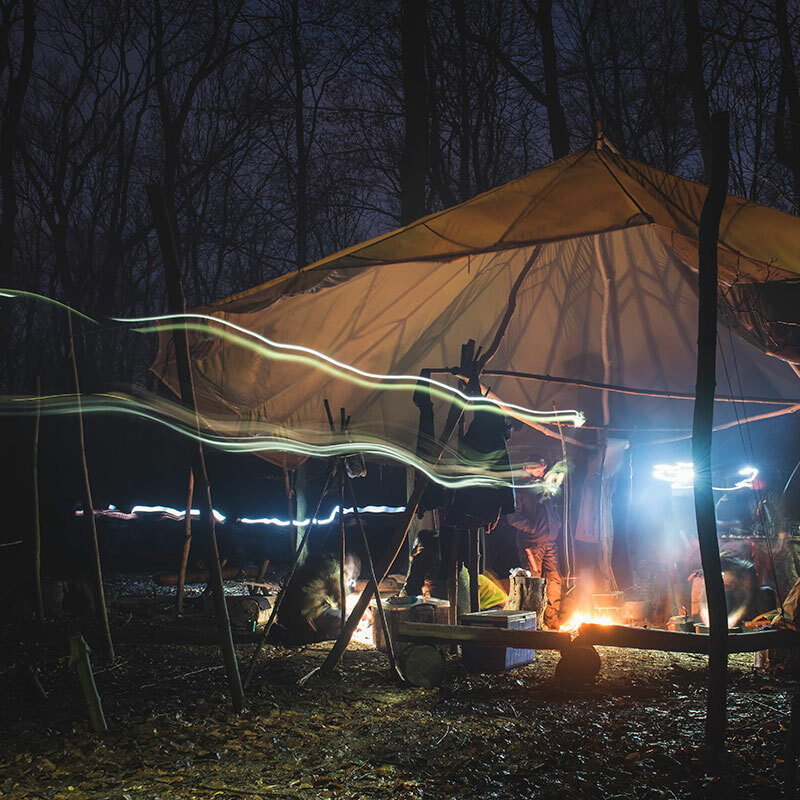 It is also relevant for those who have an outline understanding of the concepts and techniques of Bushcraft and Survival but wish to practice their techniques. By no means is this a basic introductory course, you will be amazed at the level of detail our instructors will go into on the short time available. 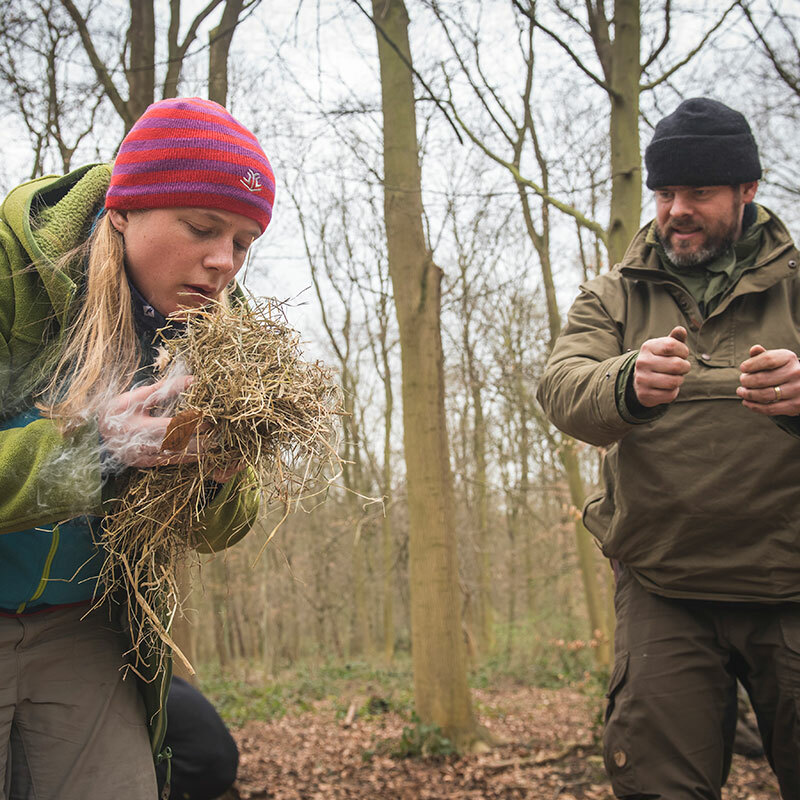 This course is not an endurance test but is designed for you to get the practical hands-on experience of the basics of Bushcraft and Survival, in a fun and safe weekend. No prior experience is required for you to attend this course. After everyone arrives at the meeting point and introductions are made, the kit is slung on our backs, and we have a short walk into the woodland. This walk helps to set the scene for the weekend ahead and introduces you to the environment in which you will spend the next two nights. 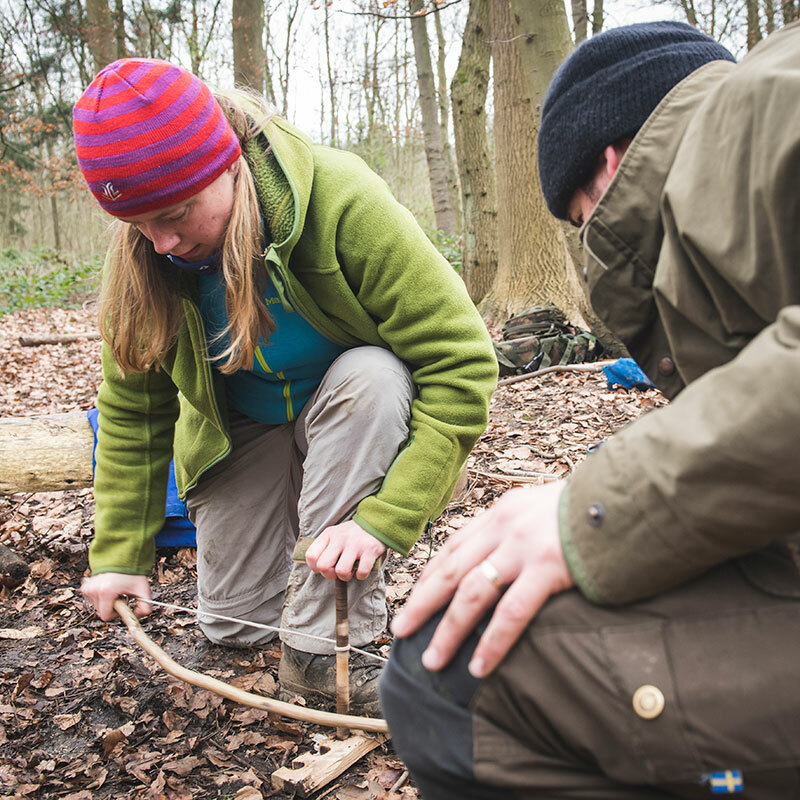 Upon arrival at the expedition-style camp, your instructors will take the opportunity to outline the course structure, introduce you to the camp equipment, allowing you to settle into the woodland environment. 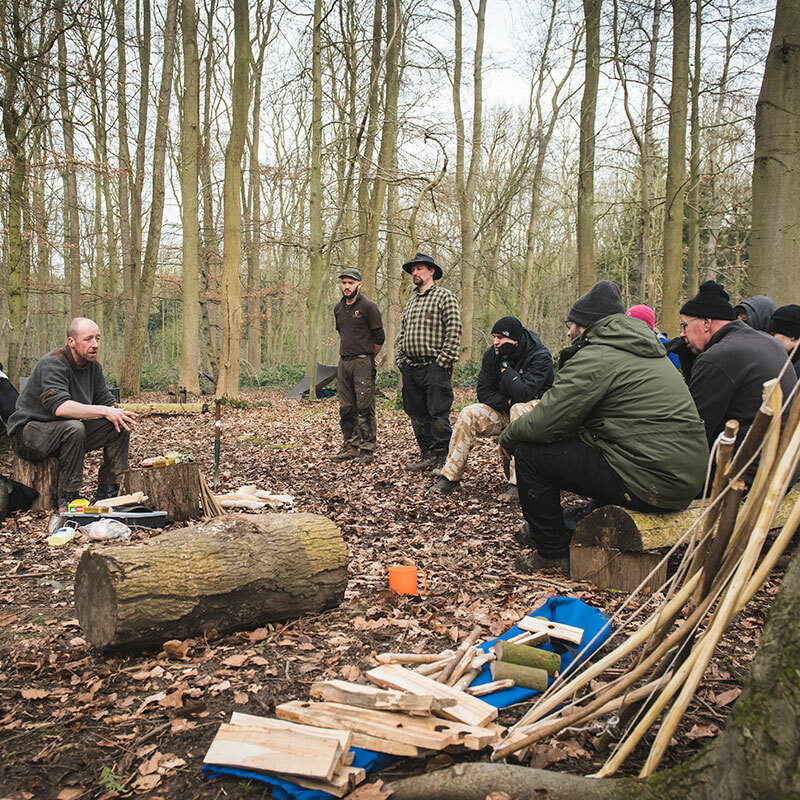 Once you are settled in, the instructor will take you through tool usage and safe techniques when using knives and saws, as you will be using these throughout the weekend to complete a range of everyday woodland tasks. We will get the fire on, and then prepare your sleeping arrangements, which, for the first night will be setting up a tarp to sleep under. We then move on to preparing the evening meal. Dinner is provided (on this course you do not live off the land) and usually consists of feathered game (e.g. pigeon, partridge or pheasant). Vegetarian dishes are also provided if we are notified in advance. Our instructors will guide you through how to prepare your food in a variety of ways. After a delicious meal, weather permitting, we will take a look at the constellations that are useful for navigation, as well as looking at other techniques for natural navigation using the night sky. 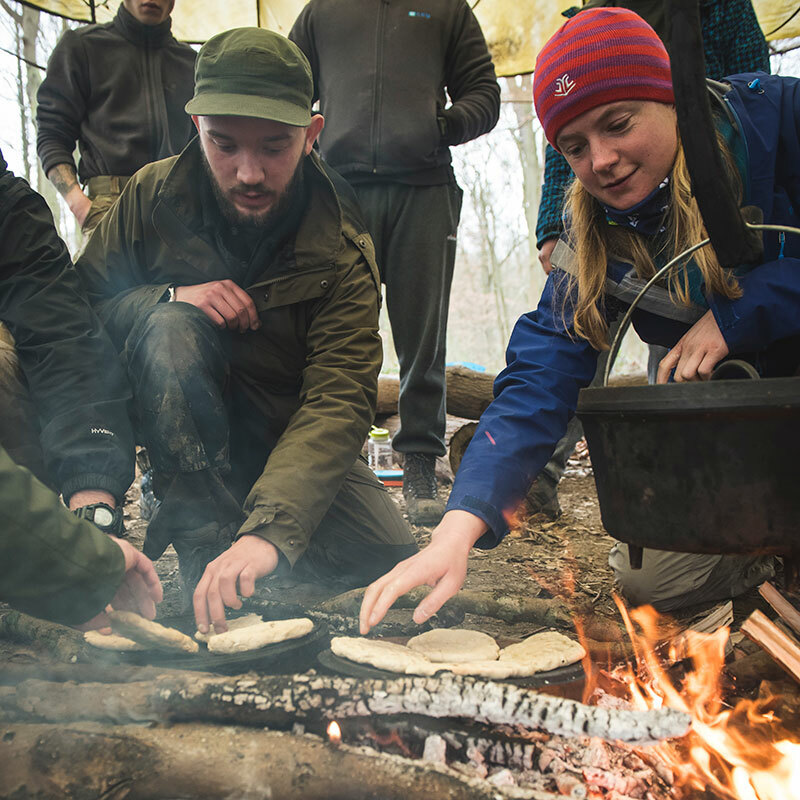 The morning begins with a brief history and demonstration of making damper bread around the fire; one of the simplest means to get a wholesome meal to start the day. Whilst the bread is cooking you are given an introduction to tracking, the aim here is to increase your understanding of animal behaviour, and your effects on it. 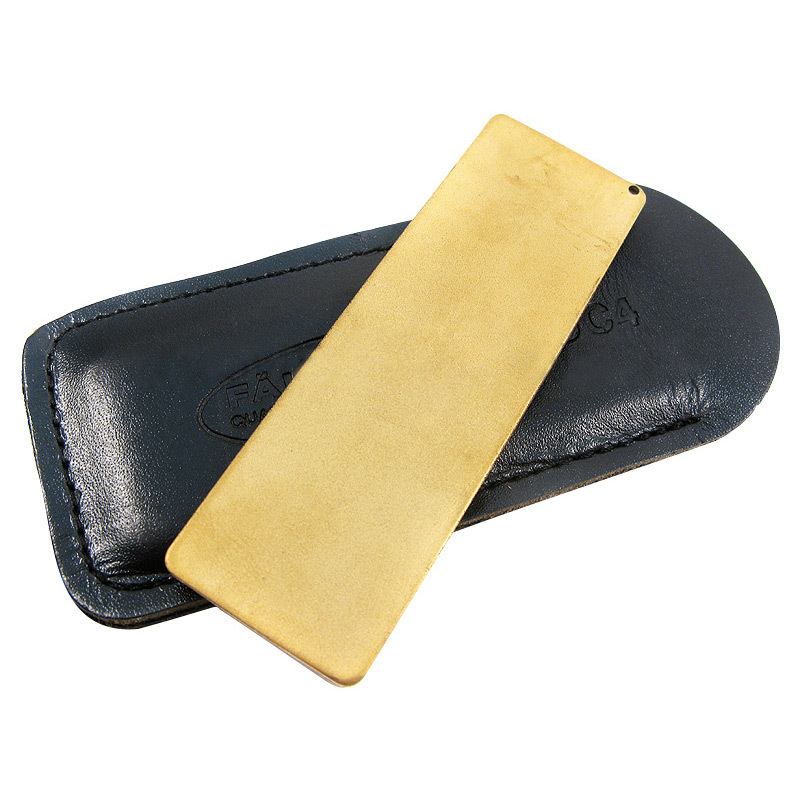 This includes a sit spot where you observe your effects on the environment. We then move on to shelter building. 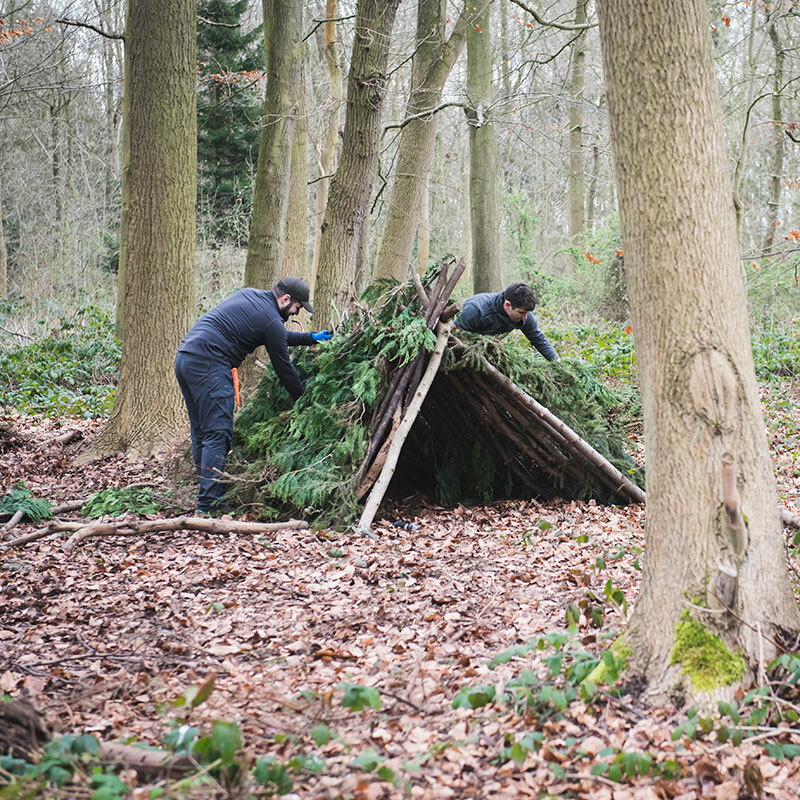 Following a brief introduction to the whys/wheres and hows, an instructor will guide you through the shelter building process, and then it is up to you. Detail is provided in the construction and techniques used, you then spend the rest of the morning building your own. 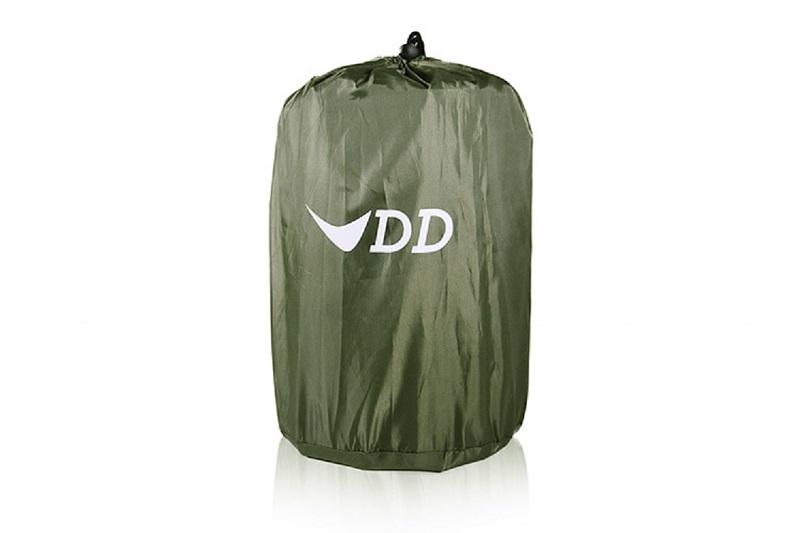 Care must be taken on construction of these as you will be staying in them overnight. 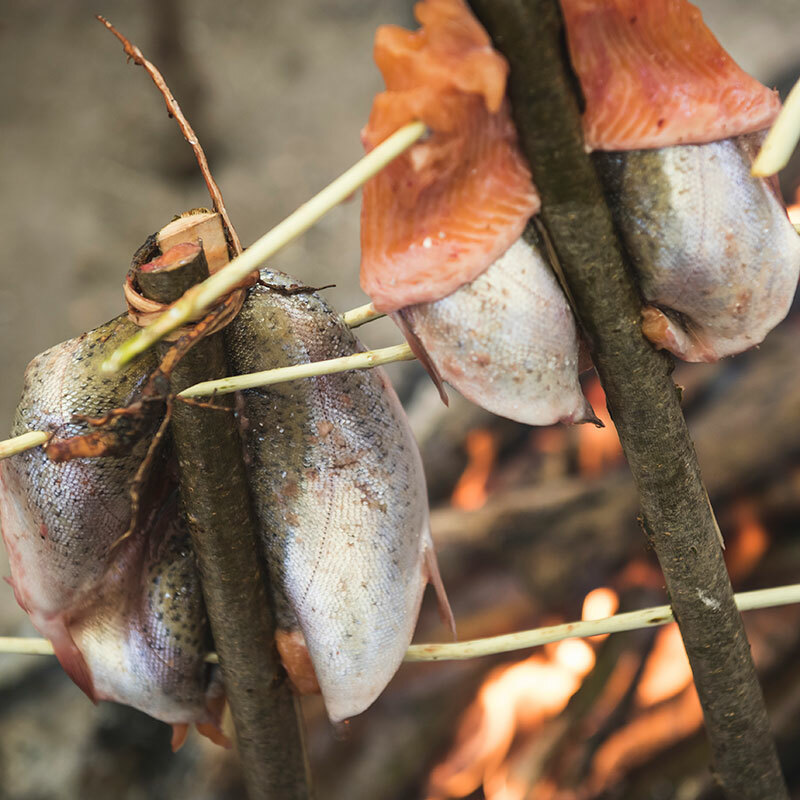 Lunch, which is again provided, involves learning how to prepare and cook fish (normally trout) over the open fire and use a Native American method of cook our fish without any modern equipment. 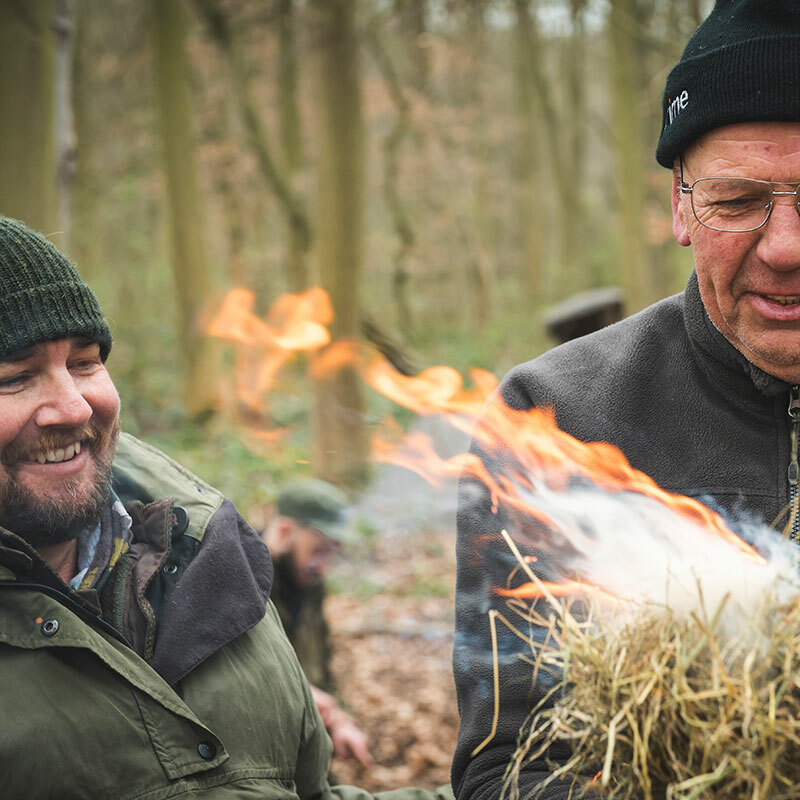 We then have an action packed afternoon, consisting of; foraging for natural foods in a sustainable manner (reinforcing our message that conservation is key), natural navigation, and fire lighting - including fire by friction. The evening is then underway with another game preparation session, this time, mammal, typically rabbit. 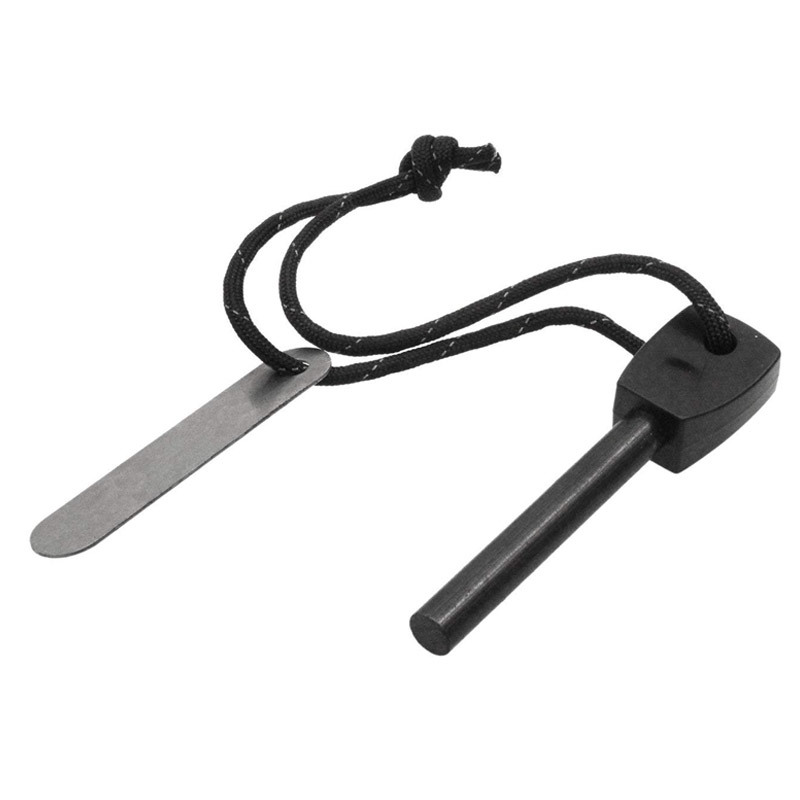 Whilst this is cooking we take a look at choosing your axe and knife, how to sharpen them, and the legal aspects of carrying and using edged tools. Sunday begins with breakfast and another sit spot, and you'll be amazed at the difference in what you spot now that you have tuned into your environment. This is followed by a demonstration and discussion on primitive trapping and snaring techniques. 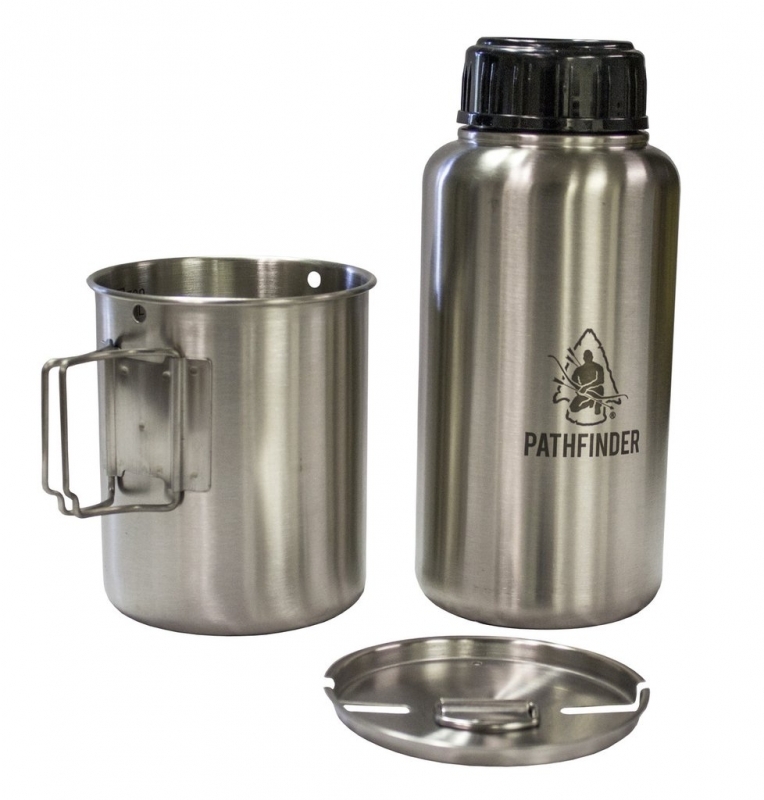 We examine the legal and ethical aspects of this subject and its value in survival situations. We finish off the morning looking at how to source, filter and purify your water. The camp is then dismantled and we begin the hike home! Our courses are designed to be a fun experience and at no point during the course will you be expected to do anything that you are uncomfortable with. Our helpful and friendly instructors are always on hand with help, advice, and assistance. Participants must be 18 years+. Set in the Heart of the stunning Peak District National Park our woodlands are based on this beautiful 3800 acre historical estate, home to Lord and Lady Edward Manners. A warm and caring family estate, woodlands comprise over 600 acres, and our beautiful camp is nestled on the banks of the river Wye. Surrounded by a mature mixed canopy of Oak, Ash, Birch, and numerous conifers the diverse mix of flora is home to a wondferful array of large and small fauna. You may spot Fallow, or see the sign of badger, and will be immersed into a cacophany of bird noise as you share the home of owl, buzzard, woodpecker and more. With very kind permission of the Duke and Dutchess of Rutland, our courses here are set within the stunning private 16000 acre Belvoir Castle estate boasting truly beautiful areas of ancient woodland. The venue is located just outside the village of Nipton in rural Leicestershire around 6 miles west of Grantham. Our main base is set within a remote 400 Acre solid block of Woodlands, with no road noise or light pollution, and with access to the wider Estate. With 31 of the 32 species of native trees the canopy is simply stunning, and the vast acreage provides us with plenty of scope for renewable resources. As you would expect, there is an abundance of wildlife and flora. 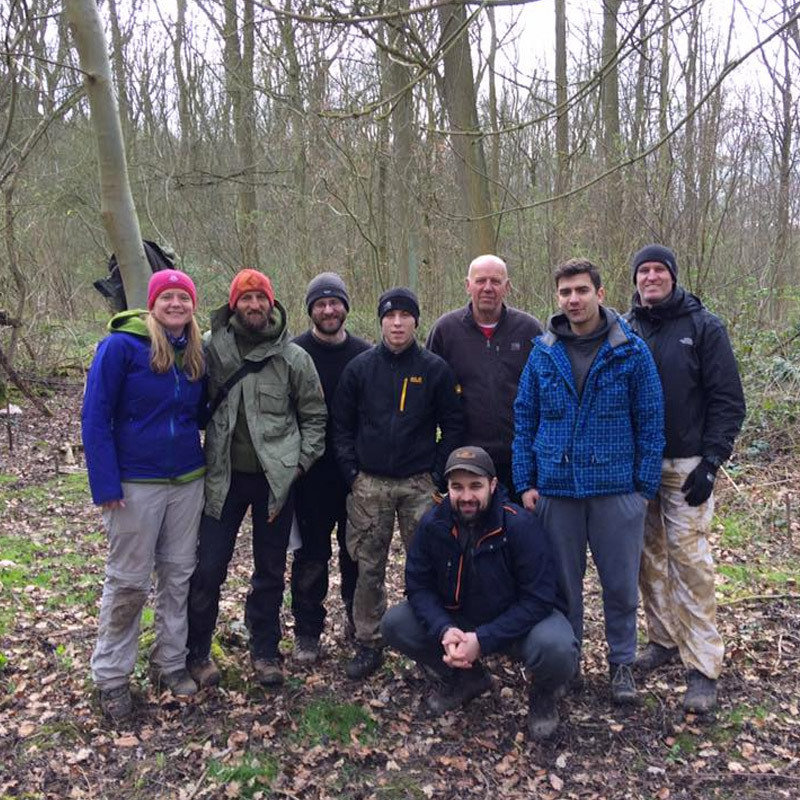 We operate all of our courses here for individuals to book on to, including our Woodland Ways Weekend, we also offer private bookings, school bookings, stag do's and corporate events. 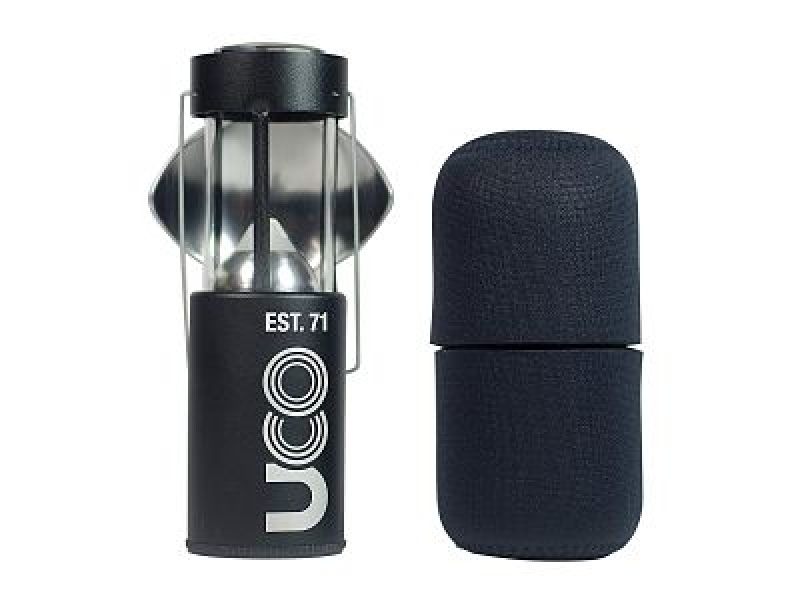 Toilet facilities are provided by means of composting toilets and there are central covered teaching area's within the woodlands comprising of timber and canvas structures. If arriving for a course please do not head to the Castle, in order to protect the privacy of the family. Please ensure when travelling to the venue you use the directions and not rely on Sat Nav in order to prevent getting lost. Our courses in East Lothian run from Blinkbonny Wood, a 100 acre mixed canopy woodland, nestling on the edge of the Lammermuir Hills which provides easy access to hill and moor. Approximately 20 miles from Edinburgh and 5 miles from the historic market town of Haddington. It is close to Longyester, and therefore public transport to the area is easily achievable with international flights coming in to Edinburgh, as well as Edinburgh Waverley Train Station. 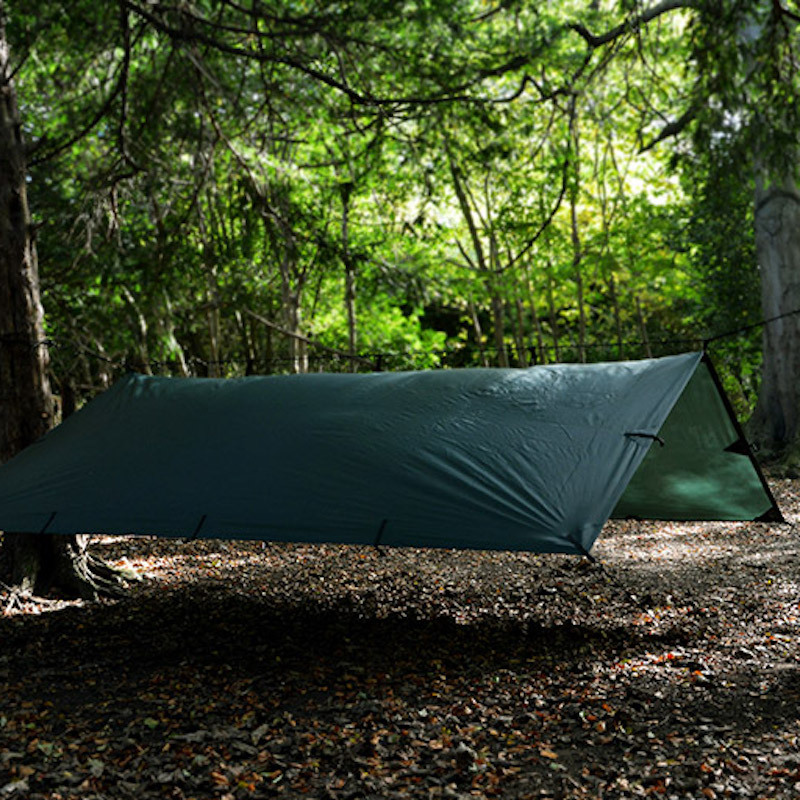 The canopy is a mixed patchwork with birch, hazel and scots pine a plenty. Gorse throws in its usual colours in the year and at the woodland boundaries there are stunning views of the hills in one direction, the coast in another, and bordering farmland. Within our woodlands here you are likely to see Roe Deer, and we have regular sign of badger. There is also a variety of species of owl. We operate weekend and day courses from this woodlands and occasional longer duration courses that require access to the hill side. 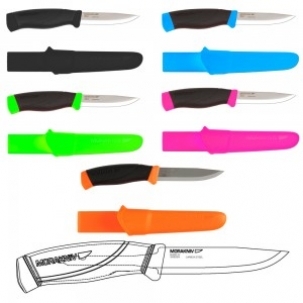 We also offer private courses for schools, parties, stag dos etc.